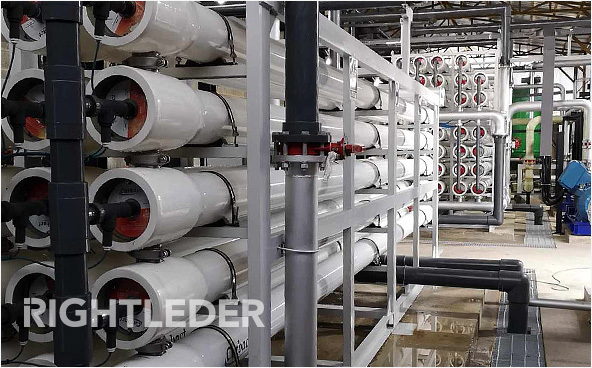 RIGHTLEDER · ENVIRONMENTAL is the subsidiary of Rightleder International Holding Group, specializing in the fields of pure water treatment, materials concentration and separation, zero discharge of wastewater and waste gas treatment, which is an integrated environmental solution provider of R&D and design, equipment manufacture, engineering construction, operation and maintenance. 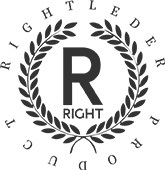 Rightleder has passed ISO9001 quality system certification, ISO14001 environment system certification, OHSAS18001 occupational health and safety management systems and CE certification, which has entered the markets of Southeast Asia, Middle Asia, Middle East, Africa and South America etc. 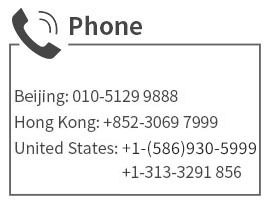 Demand: Final product water quality conforms to the standards of drinking water, furthermore, solve the shortage of fresh water resources. 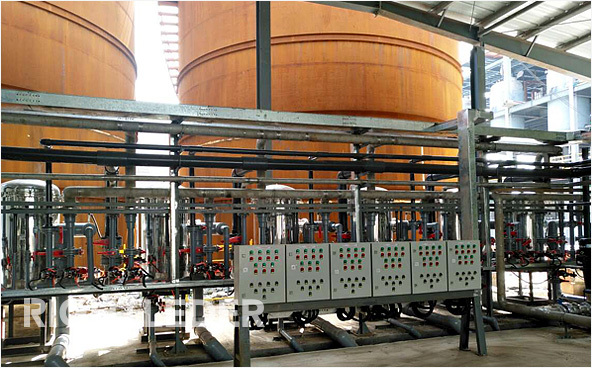 Technological innovation: Utilizing advanced treatment processes such as BWRO+alkaline boron removal, and equipped with the energy recovery system and pure water filling line, finally, the product water after seawater desalination water can be directly consumed. Technological innovation: According to the client's raw water ions analysis report, product water quality standard, product water capacity and URS, tailor-made ultra-pure water system can ensure the product water quality reaching the standards. 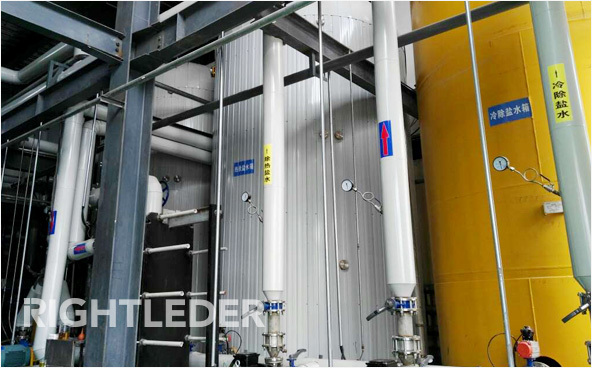 Technological innovation: Double-chamber floating bed is used as the ion exchange generator, and the brine recovery system is composed of special filter + membrane combination, which can remove 100% of the pigment in the waste brine, 98% of the divalent ions, and the NaCl recovery rate is up to 80%. Effectively realize the rational use of resources and zero discharged. Technological innovation: With a unique operation mode, when the ion exchanger is completely failed and then regenerate. 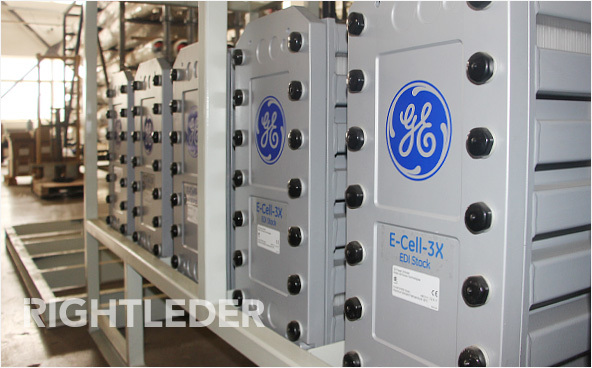 The regeneration liquid has high utilization efficiency completeness, which saves consumption. 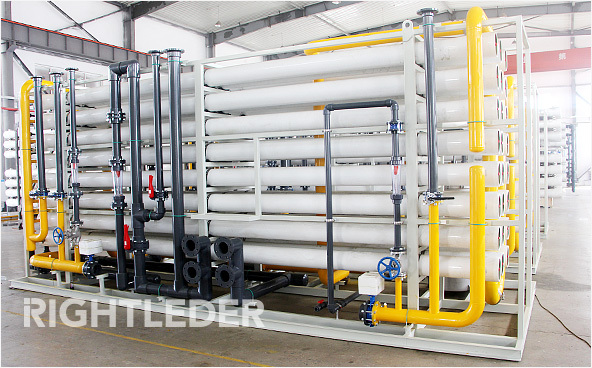 Technological innovation: Self-developed limit membrane separation system is used to maximize membrane performance, reduce system discharge amount, improve water utilization rate and reduce the load of the evaporation pond. Copyright © 2002-2030 rightleder.com. All Rights Reserved.